Monday Readers will not be meeting in December. There will be no Village History Group meeting in December. 14 Dec 2018 . Christmas Raffle Draw. 7 Dec 2018 10:00 - 14 Dec (Friday) 17:30. 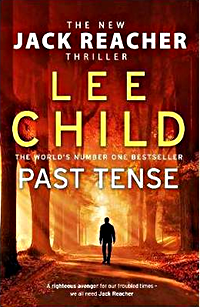 Half Price Book Sale. 8 Dec 2018 10:00 - 11:30. 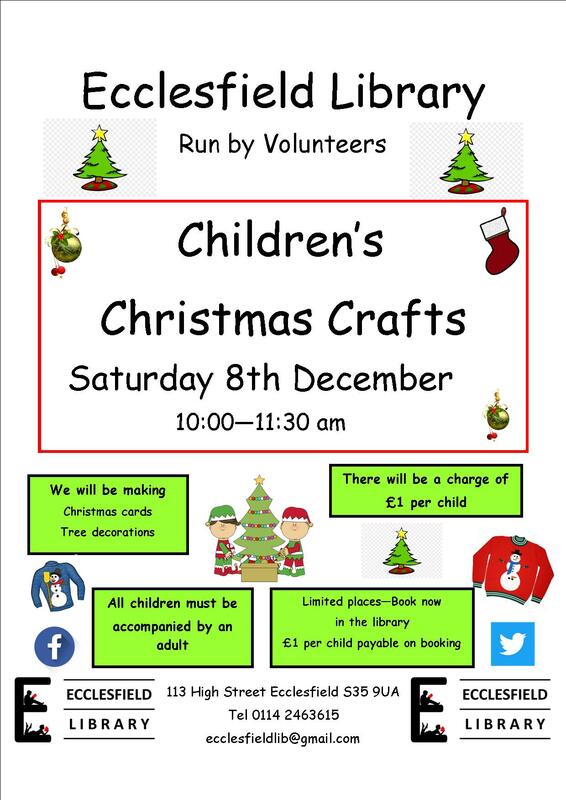 Children's Christmas Crafts. 1 Dec 2018 11:00 - 15:30. Christmas Fayre. 28 Nov 2018 15:00 - 17:00 Ecclesfield Village History Group. in Ecclesfield Library, High Street, S35 9UA. 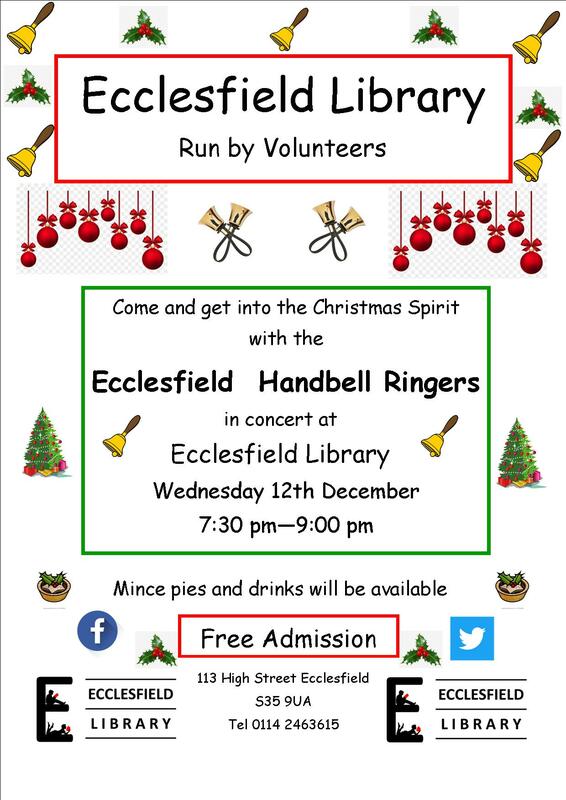 Join us in discovering Ecclesfield's fascinating local history, for just a £1 contribution to library funds. We meet on the last Wednesday of the month (except December and August). 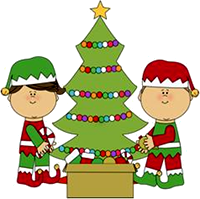 For our November meeting we're talking about "Christmas memories". 12 Nov 2018 17:00 - 18:00. Ecclesfield Library Monday Readers. 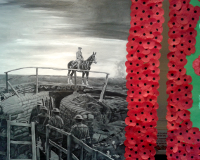 10 Nov 9:30 - 12 Nov (Monday) 17:00 For the fallen. 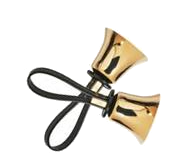 9 Nov 2018 19:30. First World War and other Conflicts. 7 Nov 2018 20:00. Carols and their history. 3 Nov 2018 10:30. 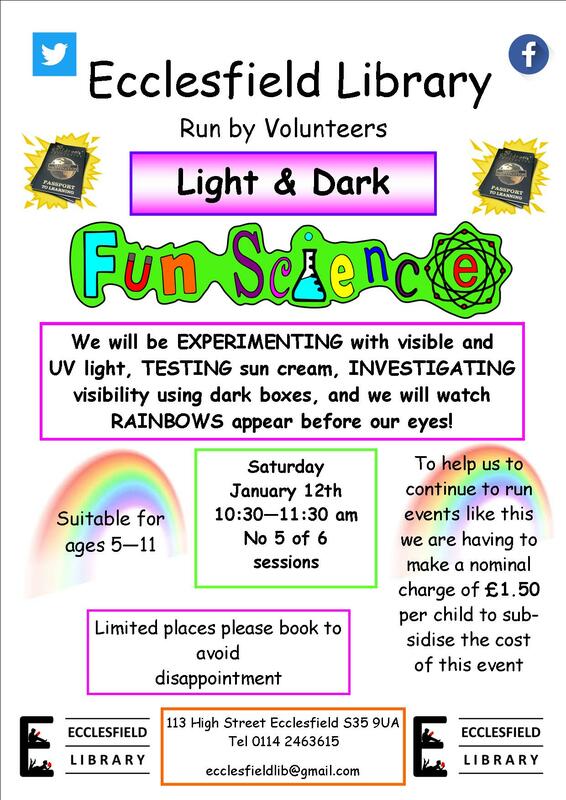 Fun science - "Halloween" in Ecclesfield Library on the High Street, S35 9UA. 31 Oct 2018 10:00. Halloween Craft Activity Day in Ecclesfield Library on the High Street, S35 9UA. 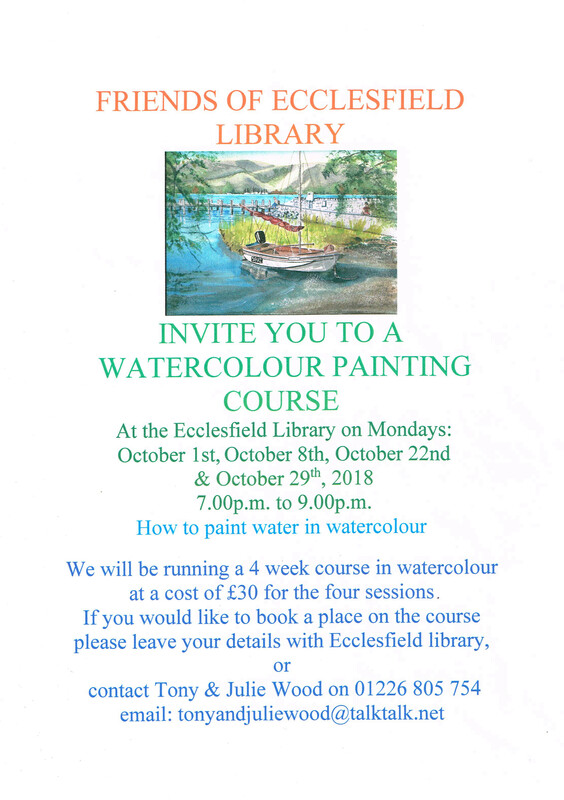 a course by Tony Wood at Ecclesfield Library on the High Street S35 9UA. £30 for the four sessions (This course has already started, but you are welcome to phone to register an interest in the next course). Click to see a recommended list of materials, or see details in this poster. 26 Sep 2018 10:30 - 12:00. Friends Against Scams. 1 Sep 2018 10:00 . Summer Reading Challenge. 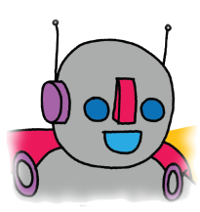 Children's Author Suzy Senior will be presenting awards for the Summer Reading challenge 2018 in Ecclesfield Library on the High Street, S35 9UA. Free admission . 7 July 2018 10:30 - 11:30. Chemical and Physical reactions. 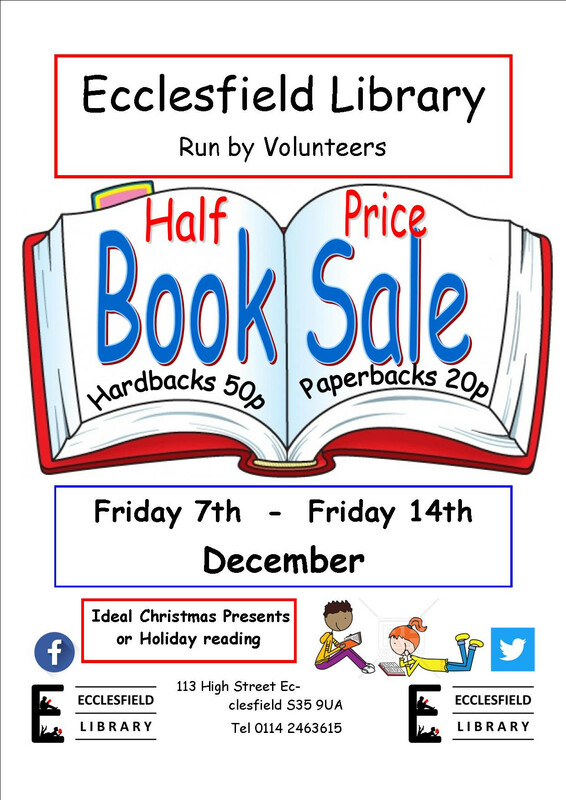 Fiction, non-fiction, Toys and children's books will be sale at bargain prices in Ecclesfield Library on the High Street, S35 9UA. Just drop in. 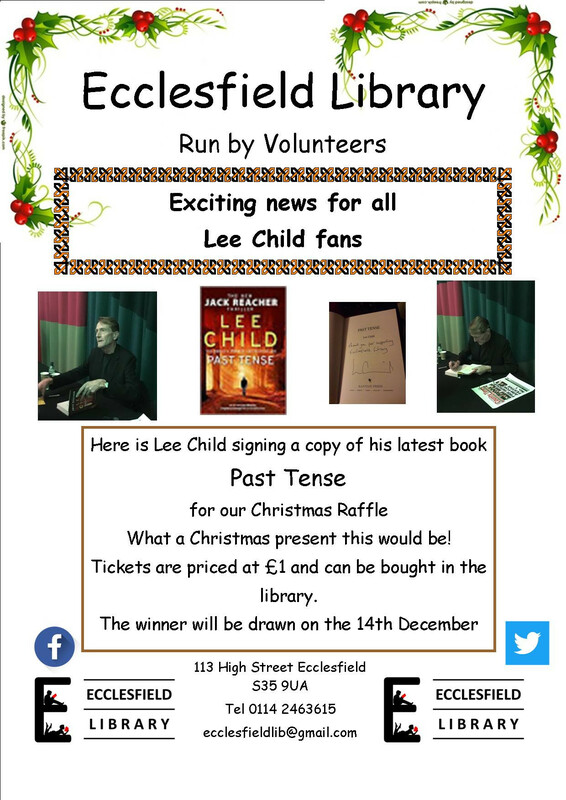 Proceeds in support of Ecclesfield Library. 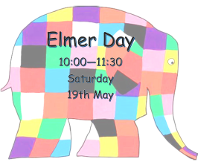 12 May 2018 10:30 - 11:30. The Science of Sweets. 30 Apr 2018 15:30 - 16:30. Code Club. in Ecclesfield Library, High Street, S35 9UA. Informal sessions to talk about 'old times', with some people bringing along selections of photos on the last Wednesday of the month. A £1 contribution to library funds would be appreciated. 9 Apr 2018 19:00 - 21:00. Watercolour Painting Course. 9 Apr 2018 17:00 - 18:00. 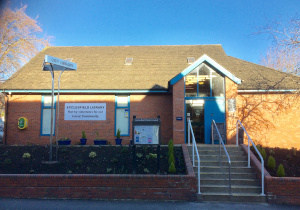 Ecclesfield Library Monday Readers. 9 Apr 2018 15:00 - 17:00. Knit and Natter Group. 4 Apr 2018 12:30 - 15:00. Knit and Natter Group. 2 Apr 2018 . 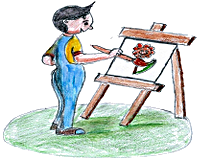 No Watercolour Painting Course. 2 Apr 2018 . 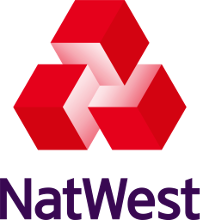 No Knit and Natter Group. We used to run this Local Walk, followed by this Craft session. 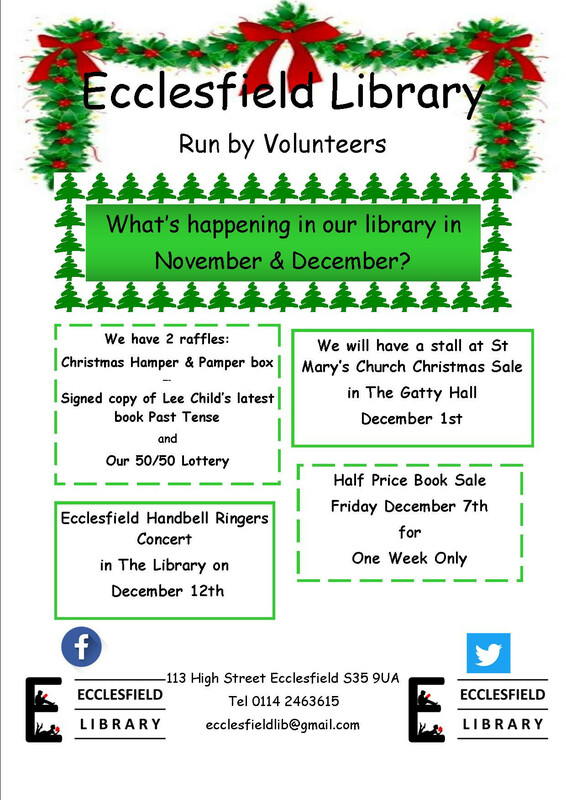 Click here for 2017 events in the Friends of Ecclesfield Library CIO's history. 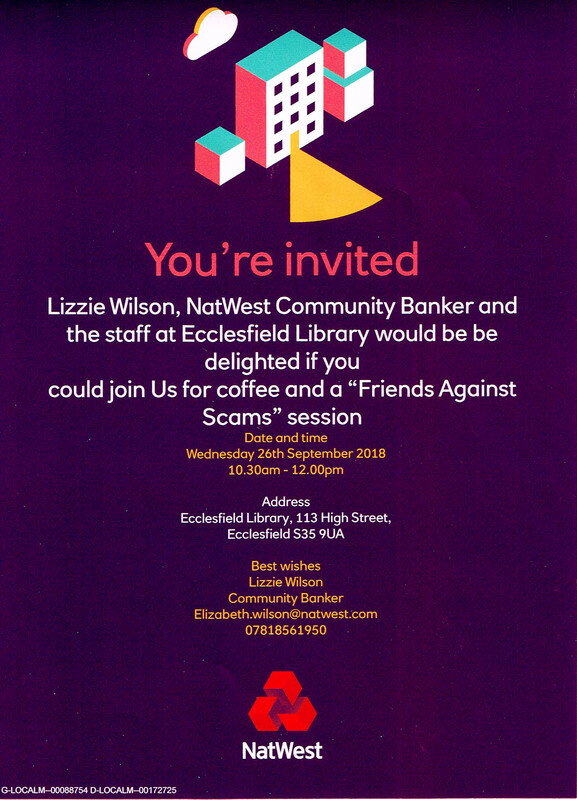 Some non-library past 2018 events are listed on the Ecclesfield Village Website. If you would like us to repeat any of these past events, email. 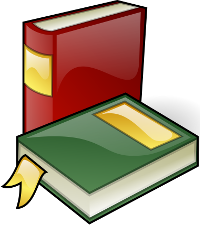 info  ecclesfield library co  uk, drop in to the library when it is open, or ring .